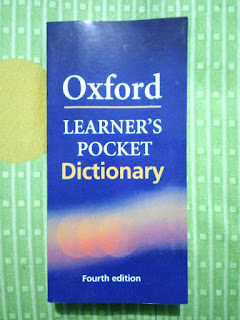 Oxford Learner's Pocket English Dictionary: Student Book (Advanced) is highly recommended by the readers. This dictionary has the strongest vocabulary from years. People who want to improve their vocabulary can purchase this dictionary from Amazon India. Proper details and explanations are provided in the dictionary for each word. 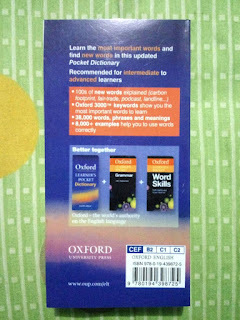 Those who want a command over English Language, this pocket dictionary is perfect for them. End number of words are written in the dictionary and along with them the dictionary has a huge collection of phrases and idioms. Besides, the dictionary comes with a CD ROM which can be used to know the pronunciation of the words. Inside the dictionary readers will also find the common mistakes that users do. These mistakes are highlighted in the dictionary. Filled with commonly used abbreviations, irregular verbs and geographical names, this dictionary is helpful for quick and easy reference. 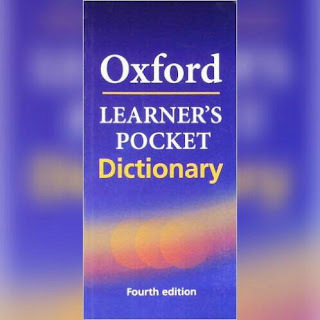 Oxford Learner's Pocket English Dictionary: Student Book (Advanced) was published by Oxford University Press as student's edition in 2008. It is available in paperback.